This Door Sign Can Present Information in Vertical and Horizontal Position! 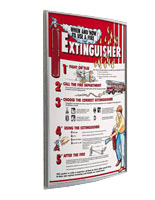 This Directory Display Is a Signage Holder Made for the Wall of a Business! This Door Sign Is In Stock Now! 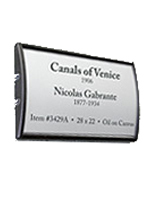 3" x 8" 3" x 11.5" 3" x 15" 4" x 5.5"
Constructed of durable silver anodized aluminum for longevity. Comes with no-glare lens so viewing is clear and image is protected. Accompanies a suction cup to quick graphics change-out behind the lens. Comes with 2-sided tape on the back of the sign to mount on a wall. 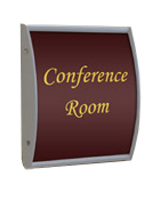 This door sign, commonly called signage system, will adhere to the wall or other display surface quickly. The metal frame does not come with any images, but users can create their custom ads on their printer. 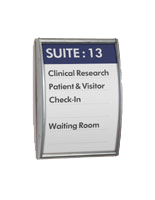 This door sign that holds 3" x 5" images may be implemented to show the names of employees, room numbers or emergency information. The signage holders may be affixed to the wall, in either portrait or landscape set-up. 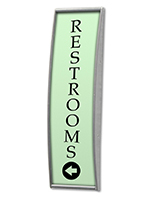 This door sign uses the double-sided tape, which is included, to quickly stick the unit in position. 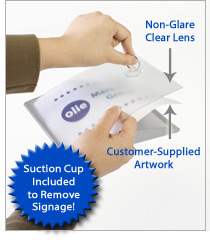 The signage system comes with a non-glare lens which prevents the content from becoming dirty or damaged when in use. This door sign lens also stops the glare due to lighting from affecting the view of the messages. There is a suction cup that comes with the unit to peel off the acrylic front and make signage changes. 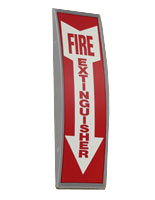 This door sign that adheres to the walls, similar to signage displays, works well by itself or with multiple units. The picture system will show the information in the desired manner. 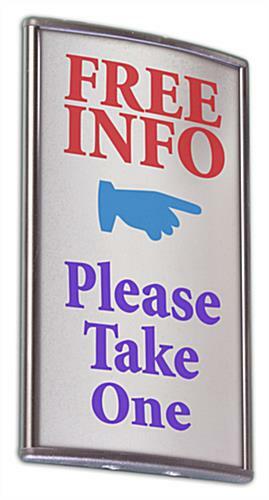 This door sign which is silver is the ideal option that aids in directing foot traffic through the business or company. The anodized aluminum exterior is used to encourage durability. 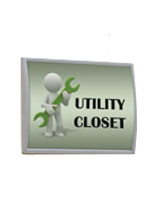 This door sign ensures that users can have the unit for a long time. The concave shape is another feature that is sure to garner interest. 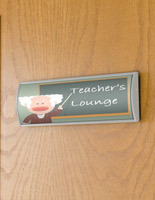 This door sign is sure to present messages in a memorable fashion. The attractive silver finish can match with all of the other display items.